Singapore has called on Asia Pulp & Paper Co Ltd (APP) to check whether its subsidiaries and suppliers have any connection with the recent forest fires in Indonesia, which have caused a thick smog to envelop the city state. Singapore’s National Environment Agency (NEA) also said in a statement that it has separately sent notices to four other Indonesian companies, accusing them of contributing to the pollution. Unlisted APP, a member of Indonesia’s Sinar Mas group, is a major supplier of paper, pulp and packaging in Asia. A spokeswoman for APP in Jakarta said it has not received a notice from Singapore to date. The announcement came after Singapore shut primary and secondary schools on Friday as worsening pollution caused air the quality to deteriorate to what the authorities said were very unhealthy levels. Southeast Asia has suffered for years from annual bouts of smog caused by slash-and-burn practices in Indonesia’s Sumatra and Kalimantan islands, but governments in the region have failed to address the problem. The fires have been exacerbated this year by the effects of the El Nino weather phenomenon, as a prolonged dry season in Indonesia has parched the top soil, fuelling the flames. NEA said the government is currently examining how to apply more economic pressure against errant companies. “Ultimately, errant companies must know that there is a price to be paid for damaging our health, environment and economy,” the statement quoted Minister for the Environment and Water Resources Vivian Balakrishnan as saying. The pulp and paper giant says it is working on a response to the National Environment Agency, after it was served a notice seeking information on what it is doing to put out fires on its land concessions. SINGAPORE: Asia Pulp and Paper Company (APP), one of the world’s largest pulp and paper companies, said its firefighting teams are working around the clock to manage forest fires on its suppliers’ land in Indonesia. 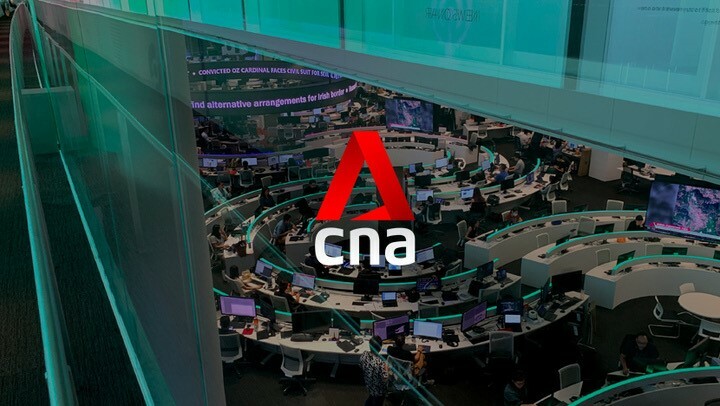 In response to queries from Channel NewsAsia on Saturday (Sep 26), APP said it was bringing in additional resources from across its supply chain to battle the blaze. On Friday, Singapore’s National Environment Agency (NEA) said it has served a notice to APP under the Transboundary Haze Pollution Act, seeking information on its subsidiaries in Singapore and Indonesia, as well as measures taken by its suppliers in Indonesia to put out fires in their concessions. NEA’s action comes as smoke from raging forest fires in Indonesia’s Sumatra and Kalimantan has pushed air quality to unhealthy levels in Singapore for several days over the past fortnight. APP, a member of Indonesia’s Sinar Mas Group, has an office in Singapore. “We are coordinating with the relevant parties the appropriate responses to the NEA,” it told Channel NewsAsia. It added that the causes of fire are “highly complex”. “They involve the rights of local communities, illegal activity by small and medium enterprises and fundamental complexities over land use rights, spatial planning and maps, ownership and protection. This is why we are working with other stakeholders to focus on prevention and to find a long term solution to the causes of fire,” APP stated. The company said it takes forest fire “very seriously” and has operated a “Zero Burning” policy in its supply chain since 1996. APP products include Enlivo notebooks, Inspira paper and Paseo tissue paper. Supermarket chain FairPrice, which carries APP products, said it is seeking clarification from the company on the notice from NEA. “FairPrice cares for our environment and encourages our partners to adopt sustainable practices in their operations. We are deeply concerned over this matter and are in contact with our suppliers to seek clarification from them,” its spokesperson said. It is the largest pulp and paper firm in Indonesia, backed by the powerful Widjaja family. But it seems Asia Pulp and Paper (APP) is now Singapore’s biggest target in the fight against illegal forest fires, which have led to the haze crisis affecting millions across Singapore, Malaysia and Indonesia. It has been ordered by the National Environment Agency (NEA) under the Transboundary Haze Pollution Act to supply information on its Singapore and Indonesian subsidiaries, as well as what its suppliers are doing to fight fires. APP stood out among the five companies that Environment and Water Resources Minister Vivian Balakrishnan named on Friday as possible culprits behind forest fires in concession land in Indonesia. This is because compared to the four firms also under investigation, two of which are its suppliers, APP is one of the world’s largest manufacturers of tissue, stationery and other paper products. Contrary to earlier reports, APP is not listed on the Singapore Exchange (SGX) and remains under the control of the Widjajas’ Sinar Mas Group, one of the largest Indonesian conglomerates. The group’s business covers pulp and paper, agriculture, property, financial services, energy, infrastructure and telecommunications. Despite its business pedigree, APP has on a number of occasions found itself thrust under the spotlight of the authorities here. In 2001, APP was the subject of a probe by the Commercial Affairs Department (CAD), after creditors and investors cried foul when APP defaulted on US$13.9 billion of debt earlier that year. But the case, along with a parallel probe by the CAD into APP’s sister company, Asia Food and Properties, was closed two years later without any disclosure as to why the firms were investigated. Today, Sinar Mas ranks among Indonesia’s richest business groups. Investors have since funded five Singapore-listed firms controlled by Sinar Mas with $4.3 billion of loans and bonds. 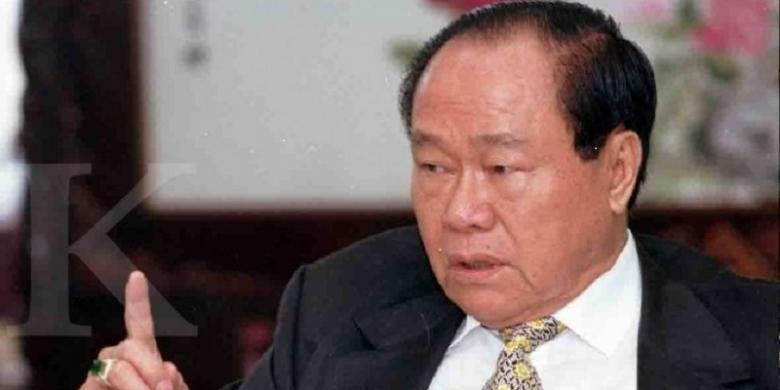 This has helped the Widjaja empire reach a market value of US$7.5 billion (S$10.7 billion) on the SGX, data compiled by Bloomberg in May showed. Singapore-listed firms run by the Widjajas include the world’s second-largest palm oil producer Golden Agri-Resources, Indonesia’s largest developer Sinar Mas Land, coal miner Golden Energy and Resources, investment holding company Bund Center Investment and lifestyle developer Top Global. APP is the timber plantation and paper manufacturing arm of Sinar Mas. The firm and its suppliers control concessions covering 2.6 million ha in Indonesia. 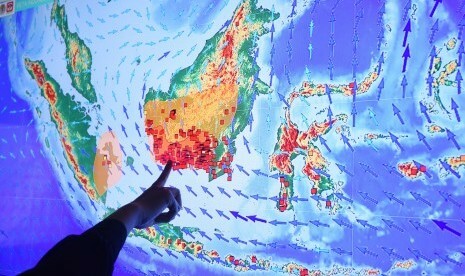 Reports indicate that there were more than 300 fire alerts recorded on those concessions in Sumatra earlier this month. APP also has dozens of subsidiaries from Mauritius to the Cayman Islands, in different functions such as trading, distribution, investment and financing. The paper supplier does not compile an annual report on its website, posting only two annual reports of two operating subsidiaries based in Jakarta, Indah Kiat Pulp and Paper, and Pabrik Kertas Tjiwi Kimia. From these, The Sunday Times learnt that APP also provides management services to the two subsidiaries, deriving income in the form of management fees. For instance, Indah Kiat paid APP a management fee of US$8.6 million for the six months ended June 30, according to its latest financial report. Tjiwi Kimia paid APP a management fee of US$4.7 million in that same period. Sinar Mas does not consolidate its total group earnings in one financial report either. It had previously said the rationale for this is that each company in the group is independent. However, the pulp and paper arm of Sinar Mas is one of the group’s largest divisions by asset size. Indah Kiat had US$6.56 billion and Tjiwi Kimia US$2.76 billion in total assets at the end of June this year, according to their latest financial reports. The last year for which APP reported its accounts to Singapore’s Accounting and Corporate Regulatory Authority (Acra) was 2013. A search with Acra revealed three directors in connection with APP. They are Indonesian Suresh Kilam, Australian Cosimo Borrelli, and Japanese Kunihiko Naito. APP company secretary Lee Tai Wai, a Singaporean, is also one of the owners of limited-liability partnership Audit Alliance, the firm appointed to audit the accounts of the Aljunied-Hougang-Punggol East Town Council. Efforts by The Sunday Times to contact the four men were not successful by press time. Environmental activists have also been attacking Sinar Mas for years, resulting in companies such as toymaker Mattel cutting APP-made paper packaging out of their supply chain. Some, like sustainability expert Jessica Cheam, called the NEA’s latest invocation of the Transboundary Haze Pollution Act “significant”. Responding to queries on the latest enforcement action by the NEA, an APP spokesman said the company is preparing to respond to the agency. But she added that as a forest-based business, APP gains absolutely nothing from burning land. Yesterday, Indonesian President Joko Widodo said on Facebook that he was committed to cracking down on the culprits behind the forest fires. “My commitment alone, however, will not work without the support of all parties: government, private and public,” he said. Correction note: An earlier version of this report stated that Top Global is under the Sinar Mas Group. It is not. Madam Sukmawati Widjaja, who runs Top Global, is vice-chairman of the Sinar Mas Group, but the group does not have a direct or indirect shareholding in Top Global. We are sorry for the error. Seorang petugas menghitung jumlah titik api (hot spot) di Posko Kebakaran Lahan dan Hutan Kementerian Lingkungan Hidup dan Kehutanan, Jakarta, Selasa (22/9). REPUBLIKA.CO.ID, JAKARTA — Masalah kebakaran lahan sawit terus menjadi pembicaraan hangat hingga detik ini. Gabungan Pengusaha Kelapa Sawit Indonesia (GAPKI) berharap ada revisi Undang-undang (UU) Nomor 32 tahun 2009 pasal 69 tentang lingkungan hidup sebagai solusi mengatasi kasus dugaan pembakaran sejumlah hutan di Indonesia. “Dalam Undang-undang itu diperbolehkan petani membakar lahan maksimal dua hektare. Pasal tersebut adalah penyebab sulitnya melakukan upaya pencegahan dan penanggulangan pembakaran hutan di Tanah Air,” kata Direktur Eksekutif Gabungan Pengusaha Kelapa Sawit Indonesia (GAPKI) Fadhil Hasan dalam keterangannya, Senin (28/9). Menurut Fadhil, jika UU itu tidak direvisi, maka pemerintah akan dianggap menyetujui salah satu penyebab adanya kebakaran hutan di Indonesia. Masa ada Undang-undang yang memperbolehkan melakukan pembakaran lahan, apalagi sekarang sedang dalam kondisi el Nino, lugas Fadhil. Ditegaskannya, selama ini perusahaan perkebunan telah menjalankan kebijakan pembukaan lahan tanpa bakar (Zero Burning) dan memilikiStandard Operating Procedure (SOP) Kesiapsiagaan Tanggap Darurat Kebakaran Kebun dan Lahan. Tak hanya itu, perusahaan perkebunan juga memiliki sistem deteksi dini dan penanggulangan kebakaran melalui Tim Kesiapsiagaan Tanggap Darurat inti (TKTD) yang menelan investasi besar-besaran. Menteri LHK Siti Nurbaya pun mengakui pembakaran lahan seluas dua hektare dibenarkan dalam UU No. 32/2009. Namun, ada beberapa ketentuan yang harus dipatuhi seperti masyarakat harus mempersiapkan segala kemungkinan yang terjadi. Namun, hasil pantauan di lapangan justru sangat berbeda dikarenakan kurangnya pengawasan dari masyarakat yang berdampak meluasnya kebakaran lahan tersebut. Sekadar diketahui, posisi Indonesia dalam penanganan bencana asap terus mendapat sorotan dunia Internasional. South China MOrning Post (27/9) menyatakan Singapura berencana mendenda lima perusahaan Indonesia yang dianggap pemicu bencana dimana salah satunya afiliasi dari Sinar Mas Grup, Asia Pulp and Paper (APP). Indonesian Police Watch (IPW) menilai dalam mengatasi kasus kebakaran hutan dan lahan, pemerintah dan Polri belum bersikap serius. IPW menilai kepolisian cenderung melakukan rekayasa kasus dan kriminalisasi dalam menetapkan tersangka kebakaran hutan dan lahan. “Pihak yang aktif melakukan upaya pemadaman justru ditahan. Tanpa surat perintah, polisi melakukan pengeledaan dan pemeriksaan hingga dinihari. Aksi rekayasa kasus dan kriminalisasi kebakaran lahan sangat memprihatinkan,” kata Ketua Presidium IPW, Neta S Pane. Menurutnya, jika cara-cara seperti ini yang dikedepankan pemerintah dan Polri tentunya akan sulit mengatasi kasus kebakaran lahan secara tuntas. “Kami berharap elite-eliet Polri mengawasi kinerja anak buahnya. Jangan sampai kasus asap dan kebakaran lahan sekarang ini justru membuat Polri tidak profesional dan oknum-oknum kepolisian memanfaatkannya untuk kepentingan pribadi. Jika hal ini yang berkembang, penanganan kasus asap dan kebakaran lahan tidak akan pernah tuntas,” tegas Neta. Ipotnews – Sinar Mas Group berencana menggabungkan (merger) perusahaan yang digunakan untuk mengakuisisi Asia Resource Minerals PLC (ARMS/dulu Bumi Plc) dengan anak usahanya yang listing di Bursa Singapura, Golden Energy and Resources Ltd.
Seperti diketahui, Sinar Mas telah mengajukan penawaran untuk mengakuisisi saham di ARMS, induk usaha PT Berau Coal Energy Tbk [BRAU 0 -82 (-100,0%)], yang listing di Bursa London. Keinginan Sinar Mas ini terkait dengan rencana ekspansi grup konglomerasi ini untuk ekspansi ke bisnis pembangkit listrik, yakni untuk mengamankan cadangan batubara. Perusahaan yang dijadikan kendaraan untuk akuisisi ARMS adalah Asia Coal Energy Ventures Ltd (ACE), yang didanai Sinar Mas namun dikelola oleh Argyle Street Management. Dalam penawarannya, ACE mengajukan harga 41 penny pounsterling per saham ARMS. Adapun ARMS memiliki 85 persen saham di Berau Coal. JAKARTA, KOMPAS.com — Pendiri grup Sinarmas, Eka Tjipta Widjaja, berada di posisi 142 dari 200 jajaran orang terkaya sedunia berdasarkan data dari Bloomberg Billionaires Index per 12 September 2013. Kekayaan Eka Tjipta mengalahkan kekayaan dari dua bos Djarum, yaitu Robert Budi Hartono dan Michael Bambang Hartono. Duo bos Djarum itu hanya menempati posisi 176 dan 177. Kekayaan pria kelahiran Coan Ciu, China, ini mencapai 8,4 miliar dollar AS. Sementara kekayaan kedua bos Djarum itu masing-masing sebesar 7,3 miliar dollar AS dan 7,2 miliar dollar AS. Kekayaan Budi Hartono sepanjang tahun ini menyusut 22 persen, sedangkan kekayaan Michael Hartono juga menyusut 22,2 persen (ytd). Sementara kekayaan Eka hanya menyusut 6 persen (ytd). Eka adalah pendiri grup Sinarmas, pemilik kebun kelapa sawit di berbagai lokasi di Indonesia, dan sekaligus pembeli Bank Internasional Indonesia pada 1982. Sinarmas merupakan produsen minyak sawit terbesar kedua dunia. Ia juga mempunyai perusahaan properti Sinarmas Land dan Bund Center Investment. Di sektor realestat, Eka Widjaja ini membangun ITC Mangga Dua, ruko, dan apartemen. Di Roxy, ia membangun apartemen Green View dan di Kuningan membangun ITC Ambassador. Bloomberg menyebutkan, Eka mengontrol 61 persen Sinar Mas Multiartha. Ia juga menguasai 60 persen perusahaan energi Dian Swastatika Sentosa, 61 persen Smartfren Telecom; 60 persen perusahaan kertas Pabrik Kertas Tjiwi Kimia, dan 53 persen Indah Kiat Pulp & Paper. Kondisi ini memang sedikit berbeda dengan pandangan Forbesyang merilis data bahwa keluarga Djarum merupakan orang terkaya Indonesia. Dalam daftar Forbes per Maret 2013, Michael Bambang Hartono menempati peringkat orang terkaya ke-439 dunia dengan nilai kekayaan 1,7 miliar dollar AS. Sementara Robert Budi Hartono menempati peringkat ke-440, juga dengan kekayaan senilai 1,7 miliar dollar AS. Mereka menjadi orang terkaya nomor satu dan nomor dua di Indonesia. Kekayaan kedua bersaudara anak pendiri Djarum, Oei Wie Gwan, ini tak jauh berubah ketimbang hasil survei orang terkaya di Indonesia yang dirilis Forbes Asia akhir tahun lalu. Saat itu, Budi mencatatkan kekayaan 1,72 miliar dollar AS, sementara kekayaan Michael 1,68 miliar dollar AS. Menurut Forbes, keuntungan terbesar Michael dan Budi datang dari Bank Central Asia (BCA). Keluarga Hartono memiliki 47,5 persen saham BCA lewat Farindo Holding. Mal Grand Indonesia juga ikut memupuk kekayaan Michael dan Budi. Memang sudah agak keterlaluan.. Anti Lelet tapi yang ada malah KAGAK ADA KONEKSI ! TEMPO.CO, Jakarta -Yayasan Lembaga Konsumen Indonesia (YLKI) menerima 143 pengaduan konsumen Smartfren antara lain melalui email, surat pembaca, serta jejaring sosial. “Ada dugaan Smartfren hanya mampu melayani data dengan kapasitas 10 persen dari kapasitas normal,” kata Ketua Pengurus Harian YLKI, Sudaryatmo, dalam konferensi pers di kantornya, Kamis, 2 Mei 2013. Hal tersebut, katanya, menyebabkan penurunan layanan terhadap pelanggan data atau internet. Pada 23-25 Maret 2013 silam, Smartfren mengalami gangguan akibat putusnya jaringan kabel bawah laut antara Bangka dan Batam. Dengan adanya gangguan terhadap layanan itu, YLKI telah mengirim surat kepada Smartfren pada 28 Maret 2013 dan membuka bulan pengaduan konsumen provider itu. YLKI menerima 150 pengaduan yang terbagi dalam tujuh kategori permasalahan. Sebanyak 60 pelanggan mengadukan terputusnya akses internet sementara. Sedangkan untuk kegagalan total fungsi internet dilaporkan 46 pengguna. Berdasarkan data YLKI, 20 pelanggan menyatakan klaim iklan tidak sesuai. Sebanyak sepuluh pelanggan mengeluhkan tidak adanya informasi saat gangguan. Menurut sembilan pelanggan, baik BRTI maupun Kementerian Komunikasi dan Informatika tidak memberi sanksi kepada Smartfren. YLKI pun menerima tiga pengaduan tentang informasi penggunaan pulsa internet. Sementara itu juga ada dua pengaduan menyangkut sistem audit penghitungan volume pemakaian internet. Atas pengaduan-pengaduan itu, YLKI menyatakan secara garis besar ada dua dugaan pelanggaran yang dilakukan Smartfren. Pertama, Smartfren diduga melanggar Undang-Undang Nomor 8 Tahun 1999 tentang Perlindungan Konsumen dan Undang-Undang Nomor 36 Tahun 1999 tentang Telekomunikasi. Smartfren diduga melanggar Pasal 8 ayat 1 huruf a dan f, Pasal 9 ayat 1 huruf e dan k, serta Pasal 62 (pidana) UU Nomor 8 Tahun 1999. Sudaryatmo menambahkan pelaku usaha yang melakukan pelanggaran ketentuan Pasal 8 dan 9 UU Nomor 8 Tahun 1999, diancam pidana penjara paling lama lima tahun atau denda maksimal Rp 2 miliar. YLKI pun menyebut empat analisa kasus Smartfren. Pertama, Smartfren baru melakukan konferensi pers pada 27 Maret 2013, padahal gangguan sudah terjadi empat hari sebelumnya. “Ini menunjukkan tidak adanya sikap responsif ketidakpedulian terhadap konsumen,” ujar Sudaryatmo. Kedua, saat gangguan terjadi, Smartfren tetap memasang iklan “antilelet Smartfren”. 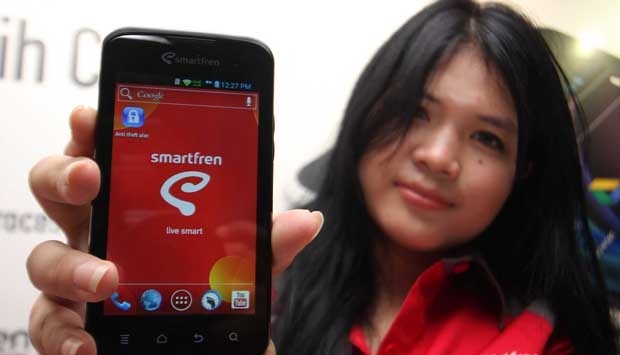 Ketiga, menurut YLKI, seharusnya BRTI memberi sanksi kepada Smartfren. Keempat, YLKI mempertanyakan syarat konsumen harus melakukan isi pulsa atau memperpanjang masa langganan untuk memperoleh kompensasi berupa tambahan kuota 50 persen. Sudaryatmo mengungkapkan, berdasarkan data 2012, keuntungan Smartfren dari layanan data tercatat Rp 1.229 triliun. Sedangkan kerugian konsumen selama tiga hari masa gangguan diperkirakan mencapai Rp 10,1 miliar. Terhadap gugatan tersebut, Smartfren menyatakan telah menyelesaikan gangguan layanan data. “Saat ini layanan data sudah dapat dinikmati pelanggan seperti semula karena kerusakan jaringan kabel sudah diperbaiki,” kata Deputy Chief Executive Officer Smartfren, Djoko Tata Ibrahim. Ia mengungkapkan, Smartfren pun memberi penjelasan kepada pelanggan melalui SMS, jejaring sosial, email, situs resmi, serta media massa. Menurut dia, gangguan terjadi akibat putusnya beberapa jaringan kabel yang hampir bersamaan di semua jalur. Djoko menuturkan, semua keluhan pelanggan yang diterima setelah 27 Maret silam tidak berhubungan dengan gangguan jaringan pada 23-25 Maret 2013. Wiriadinata di Jakarta, Rabu (12/9). penghargaan tersebut untuk kategori tisu. APP antara lain Paseo, Nice,Jolly, Toply, dan Livi. ada market yang menampung produksi. Semua ini masih kami kaji,” papar dia. tahun lalu US$ 5,7 miliar. masyarakat,” kata dia, belum lama ini. pasar pulp dan kertas dunia. US$ 3 miliar (Rp 28,61 triliun). APP mencapai 9,2 juta ton per tahun. pulp sebesar 3,3 juta ton per tahun. di dalam negeri dan 60% diekspor. di bawah payung usaha APP. Paper Industries, dan PT Ekamas Fortuna. Saat diangkat menjadi Group Chief Executive Officer Sinar Mas Land, banyak kalangan yang bertanya-tanya, seperti apa kemampuan Michael Widjaja memimpin perusahaan raksasa properti ini? Apakah anak muda bisa membuat bisnis Sinar Mas lebih berkilau? Jawabannya ditemukan beberapa waktu kemudian. Bumi Serpong Damai, sekadar menyebut satu usaha yang ditangani Michael, acap mendapat penghargaan dari lembaga properti dunia. Selain itu, ia juga mengajak semua anggota stafnya mulai mengembangkan green district, keberpihakan pada lingkungan hidup. Untuk memenuhi asa ini, Michael menggerakkan seluruh potensi dan tiada henti mengajak para stafnya mencintai lingkungan setulus-tulusnya. Mencintai bukan karena disuruh atasan, melainkan lahir dari kecintaan pada lingkungan hidup. Para pemain dan pemerhati properti kemudian paham bahwa Michael punya kapasitas spesifik, yakni mengembangkan isu strategis terarah. Lingkungan memang bukan isu baru. Namun, cara ia mewujudkan ide pelestarian lingkungan sangat atraktif. Anak muda yang lahir pada 9 Juli 1984 ini rela mengucurkan dana ekstra untuk merealisasikan green district. Berikut petikan wawancara dengan Michael Widjaja di Jakarta, pekan lalu. Mengapa lingkungan? Biar segera dapat perhatian publik? Pilihan pada isu lingkungan bukan karena latah, melainkan karena ingin Sinar Mas Land ambil bagian dalam ikhtiar melestarikan lingkungan. Keinginan semua perusahaan properti kami menjadi pelopor mengembangkan bangunan prolingkungan, fasilitas publik bernapaskan lingkungan. Ini kami lakukan dalam gerakan besar, berkelanjutan, dan dalam ritme sama. Kami lega pengakuan kepada kami terus mengalir, di antaranya Best Office Development di Kuala Lumpur (2011). Lalu di Hongkong, finalis untuk Sinar Mas Land Plaza di BSD City dan kampus ITSB di Kota Deltamas. Gerakan terkini, membangun green district seluas 25 hektar. Di sini dibangun sebelas gedung dengan tinggi 5-6 lantai. Semua dikemas dalam konsep sangat ramah lingkungan. Ini pun sudah dapat penghargaan internasional di Singapura. Melahirkan proyek ramah lingkungan bukan perkara gampang. Itu tak semata pada besarnya anggaran, tetapi komitmen para anggota staf di lapangan. Mereka diminta menghayati dan mencintai pekerjaannya. Dengan begitu, muncul tekad menghasilkan karya terbaik. Seperti apa bangunan ramah lingkungan yang dimaksud? Coba lihat bangunan di Sinar Mas Land Plaza di BSD City. Lobi mencakup separuh bangunan, tidak pakai AC, mengandalkan embusan angin alam. Bangunan lobi dibuat tinggi dan beberapa bagian terbuka. Kemudian, hampir semua bahan yang kami gunakan lahir dari proses ramah lingkungan. Misalnya, kayu dan papan adalah papan ramah lingkungan. Lantai dan kaca dari proses ramah lingkungan. Lalu, konstruksi jendela diatur agar angin leluasa menyelusup. Ribuan pohon ditanam, dibiarkan tumbuh subur, untuk menemani kehidupan manusia yang damai. Keberpihakan pada lingkungan ini tidak saja tampak pada gedung perkantoran, tetapi juga rumah dan sekolah. Kelak gedung-gedung atau perkantoran akan menyatu dalam satu jaringan yang menawan. Kami ingin gedung-gedung perkantoran sambung-menyambung tanpa sekat. Kami tak ingin model di Jalan Sudirman dan Thamrin yang sebelah-menyebelah, tetapi dipisahkan dinding. Alangkah baiknya kalau semua gedung menyatu, tidak lokalistik. Kota-kota di Amerika Serikat, Eropa, dan Jepang, sekat halaman dibuang dan publik bisa berjalan dengan sangat leluasa. Halaman kantor digunakan untuk memaksimalkan areal pedestrian. Ruko tidak ramah lingkungan, dan amat banyak di BSD? Ramah atau tak ramah lingkungan tergantung dari kita bagaimana mendesain dan membangunnya. Kini, semua ruko yang hendak dibangun kami bahas bersama-sama secara serius. Kami tidak asal bangun kendati permintaannya luar biasa. Bayangkan, berapa pun harga yang disodorkan langsung laku. Apa boleh buat, ruko itu dijual lebih mahal. Kami optimistis, penampilan ruko-ruko dengan gaya baru akan lebih atraktif dan lebih hijau. Air hujan dialirkan ke dalam tanah, tidak ke got dan laut. Kami akan menata lalu lintas. Infrastruktur kami perbaiki, angkutan umum ditata agar tak terjadi kemacetan parah. Kemacetan menguras energi, mengisap bahan bakar. Ini mesti ditata agar mimpi melahirkan BSD sebagai ”a green city” terwujud. Soal lingkungan, tidak bentrok dengan staf finansial? Disadari, kadang kala lompatan terlalu maju tidak masuk dalam kalkulasi bisnis. Jika sudah begini, harus mengompromikan mimpi dengan realitas. Bagaimanapun mesti ada kalkulasi bisnis yang terkontrol. Kita hendak melestarikan lingkungan, mestinya termasuk melestarikan perusahaan. Kalau perusahaan yang berkomitmen lingkungan tetap lestari, lingkungan hidup pun akan tetap lestari. Ayah, Pak Mukhtar Widjaja. Ayah dibantu kakek (Eka Tjipta Widjaja) dan teman-temannya melahirkan Sinar Mas Land. Ayah keras, tetapi yang dikagumi, ia dapat membungkusnya dengan kasih sayang. Bertahun- tahun, ia mengajari konsistensi sikap, ketepatan waktu, cara mengambil kebijakan, cara melihat persoalan, dan melahirkan gagasan bernas. Belajar properti juga dari para senior Sinar Mas Land. TEMPO.CO, Jakarta – PT Sinarmas Agro Resources and Technology Tbk (SMAR) berencana melakukan penanaman baru kelapa sawit tahun ini hingga 30 ribu hektare. “Lahannya sudah ada,” ujar Direktur Utama Sinarmas Agribusiness and Food, Susanto, di Plaza Mandiri, Kamis 1 Maret 2012. Menurut Susanto, tahun ini perseroan bakal menambah penanaman baru kelapa sawit antara 20-30 ribu hektare. Mulai dari tanam sampai panen membutuhkan waktu selama empat tahun. Adapun masa produksinya memakan waktu sekitar 25 tahun. “Untuk satu hektare minimal investasinya Rp 45 juta,” kata dia. Ia menyatakan sebagian besar lahan yang akan digarap berada di wilayah Sumatra dan Kalimantan. Perinciannya di Kalimantan Barat seluas 10 ribu hektare, Kalimantan Tengah 5 ribu hektare, Kalimantan Selatan 2 ribu hektare, dan sisanya di Sumatera. Hingga saat ini luas lahan yang sudah digarap perseroan mencapai 460 ribu hektare. Untuk mewujudkan rencana tersebut, perseroan diperkirakan menghabiskan anggaran hingga Rp 1,35 triliun. Sekitar 65 persen dari dana tersebut berasal dari kredit perbankan, sedangkan sisanya 35 persen dari modal perseroan. Saat ini kontribusi minyak sawit (CPO) Sinarmas untuk nasional tercatat sebesar 7 persen atau sekitar 2 juta ton dari 25 juta ton produksi nasional. Dari jumlah itu sekitar 1,3 juta ton di antaranya diproses sendiri. “Tahun ini kami naikkan dua kali lipat jadi sekitar 2,6 juta ton,” ujarnya. Saat ini produksi per hektare perseroan sebanyak 5 juta ton CPO. Untuk menambah pasokan ekspor, perseroan bakal mengusahakan pasokan CPO dari perdagangan di pasar dalam negeri. Beberapa negara mitra ekspor perseroan selama ini adalah Cina, Eropa, dan India. Golden Energy Mines senilai US$ 450-550 juta. Golden Energy adalah anak usaha PT Dian Swastatika Sentosa Tbk (DSSA), unitusaha Grup Sinarmas. Singapura untuk menuntaskan transaksi itu. bisa tuntas tahun ini juga,” ujar Rao. GMR memiliki 17 pembangkit listrik di India. ujar CEO GMR Energy Raaj Kumar. 95% saham, sedangkan Golden Energy 5%. Persada dengan investasi Rp 10 miliar. 30% dimiliki SDL,” kata Hermawan. pupuk slow release dan jenis lainnya. Jakarta, Kompas – Konsorsium Kompas Gramedia, Sinar Mas Land, dan Pico Art International akan membangun gedung konvensi dan ekshibisi di Indonesia, Indonesia Expo, mulai tahun 2012. Penandatanganan kerja sama pembangunan gedung Indonesia Expo berlangsung di Hotel Santika, Jakarta, Kamis (28/7). Indonesia Expo terletak di kawasan Kota Mandiri Bumi Serpong Damai (BSD) City, di Tangerang Selatan, milik Sinar Mas Land. Adapun anak perusahaan Kompas Gramedia yang menggarap proyek itu adalah PT Dyandra Media International dan PT Medialand International. Direktur PT Dyandra Media International Dhanny Budiharto mengemukakan, luas areal Indonesia Expo mencapai 25 hektar, meliputi bangunan seluas 15 hektar dan areal parkir 10 hektar. Gedung yang mengusung tema bangunan ramah lingkungan itu bisa menampung 200.000 pengunjung. ”Pembangunan gedung konvensi dan ekshibisi ini terbesar di Indonesia. Pembiayaan berasal dari kas internal dan sebagian dari perbankan,” ujar Dhanny. Konsorsium tiga partner strategis rencananya dibentuk Agustus 2011 dengan nama PT Indonesia Expo. Menurut Dhanny, proyek yang ditargetkan tuntas pada tahun 2013 itu memiliki 10 hall, antara lain ruang konferensi, konser, pameran, dan teater. Selain itu, juga ada museum dan hotel. Kapasitasnya setara dengan Singapore Expo di Singapura serta Impact Arena, Exhibition and Convention Center di Thailand. Presiden Direktur Bumi Serpong Damai Harry Hartanto mengemukakan, pembangunan Indonesia Expo didukung akses transportasi, seperti Jalan Tol Lingkar Luar Jakarta (JORR) dan kereta api. Dengan demikian, lokasi yang strategis itu diharapkan dapat mengurai beban kemacetan di Jakarta. ”Bisnis MICE (meetings, incentives, convention, and exhibitions) di Indonesia memiliki potensi yang besar, seiring pertumbuhan ekonomi Indonesia yang cukup bagus,” ujar Harry. Group President Pico Art International James Chia, mengemukakan, muncul tren semakin banyak pameran digelar di Asia. Ada 0 Komentar Untuk Artikel Ini. Dua klub raksasa Spanyol, yakni juara Liga Champions 2011 Barcelona dan runner-up Liga Spanyol Real Madrid, mengukir langkah sempurna sebelum musim 2011-2012 dengan kemenangan pada laga uji coba, Kamis 28/7 dini hari WIB.